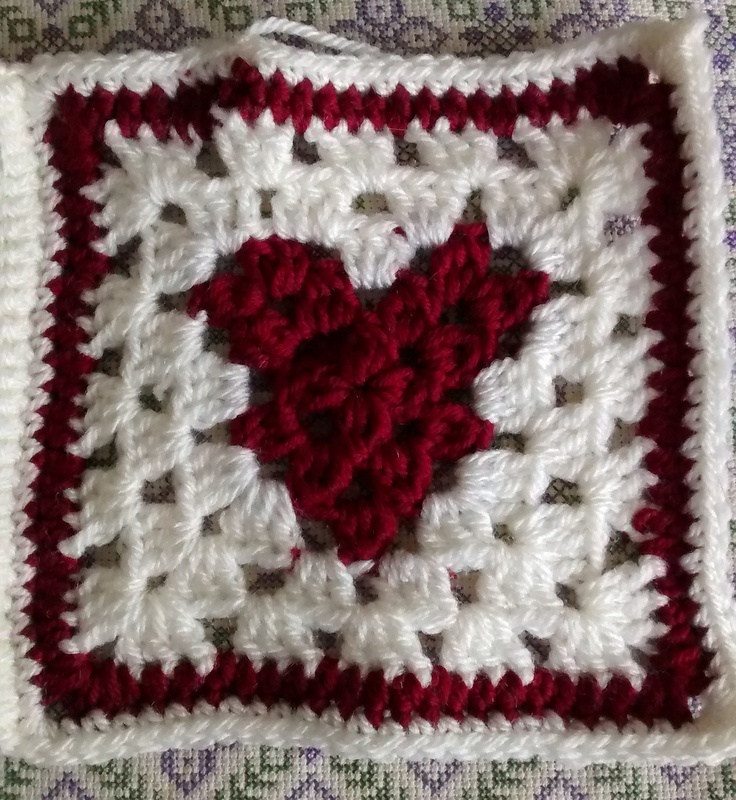 I decided to make my third extra square this week as I found a lovely pattern with little hearts in it. I’ll be honest, I struggled with the pattern so I had to make it up (which is probably why the little hearts don’t look quite as effective as I wanted them to!). That’s it for this week. 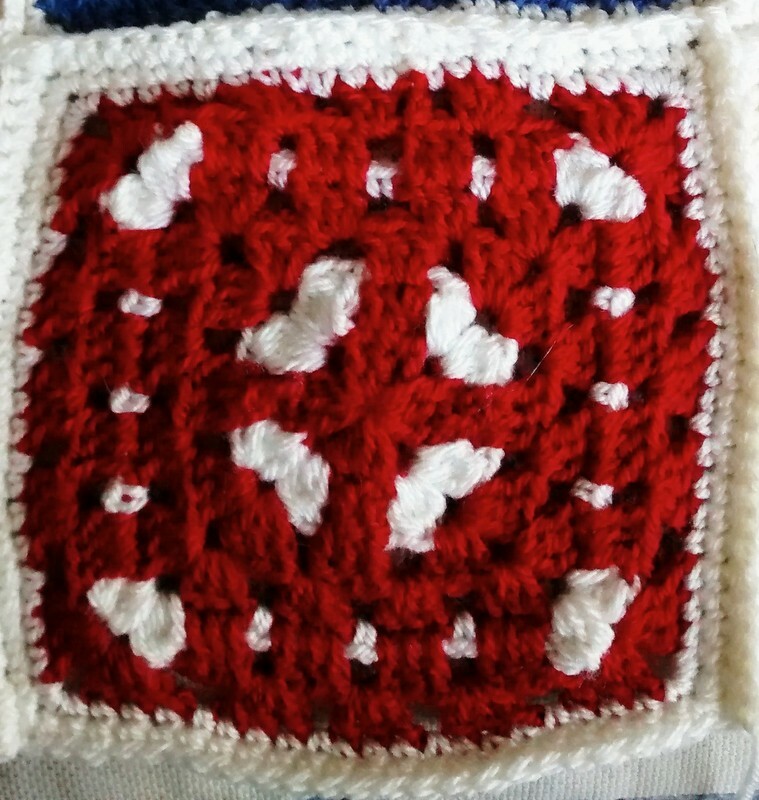 Those of you who are doing 2014 blankets, I’d love to see them!